Recently, a friend and I were meeting for dinner and wanted to try someplace new. This was a particularly rainy and cold night and neither of us felt like traveling too far for dinner. I had remembered hearing that Matsuri in Federal Hill had great Japanese options other than sushi so we decided to give it a try. I started the meal with a miso soup. There was nothing special about this dish but it was pretty good. My friend started with the house salad. This was topped with the ginger dressing. Again, it was nothing special but the dressing was really flavorful. 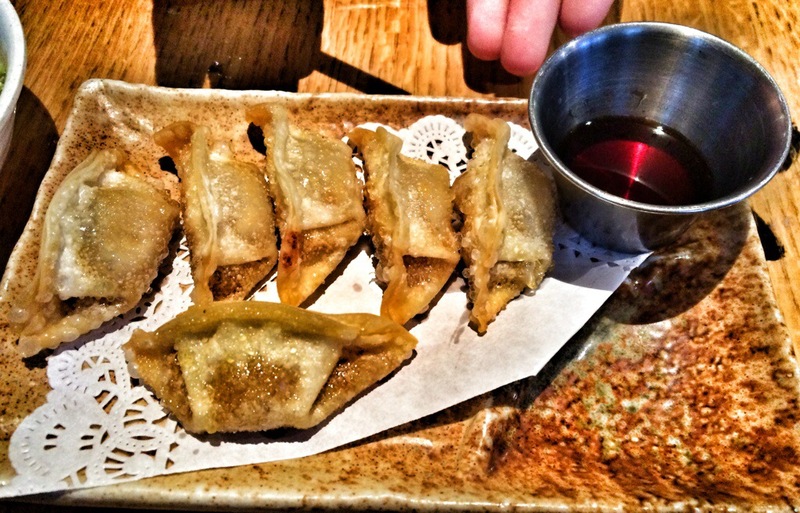 We decided to share the Fried Goyza which was a veggie dumpling. They were good, the exterior had a nice crunch while the veggies inside were cooked well and flavorful. For my meal, I ordered a bowl of Chicken Ramen Soup. This MASSIVE bowl of soup came with chicken, veggies, broth and a ton of noodles. 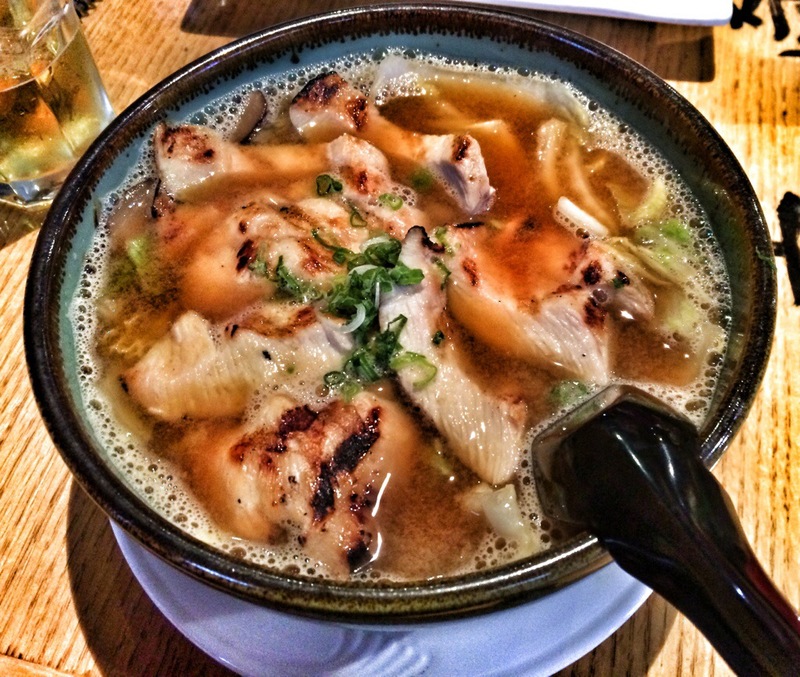 I was really excited for this dish because I’ve heard how crazy people go for a bowl of authentic ramen soup. However I think this fell short. Overall the soup was lacking in flavor and looked nothing like pictures I had seen online. But this won’t deter me from coming back and trying their Sushi or other menu offerings. The Japanese options from the kitchen is great for anyone who doesn’t eat Sushi, but on my next visit I will definitely try the sushi. Matsuri is on OrderUP, use my referral code for $5 off your first order. 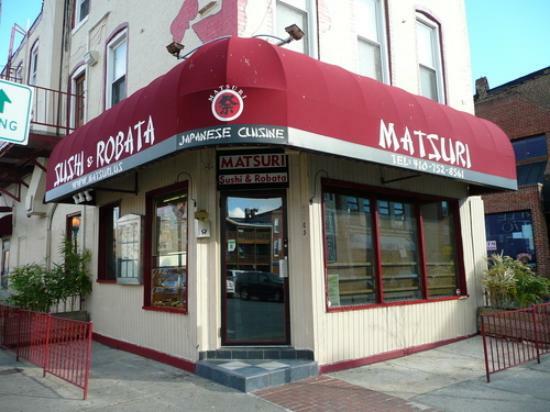 Matsuri is located at 1105 S Charles St. in Federal Hill. I would suggest Shoyou Sushi, located a few blocks south on Light (1504 Light St, Baltimore, MD 21230 to be exact). 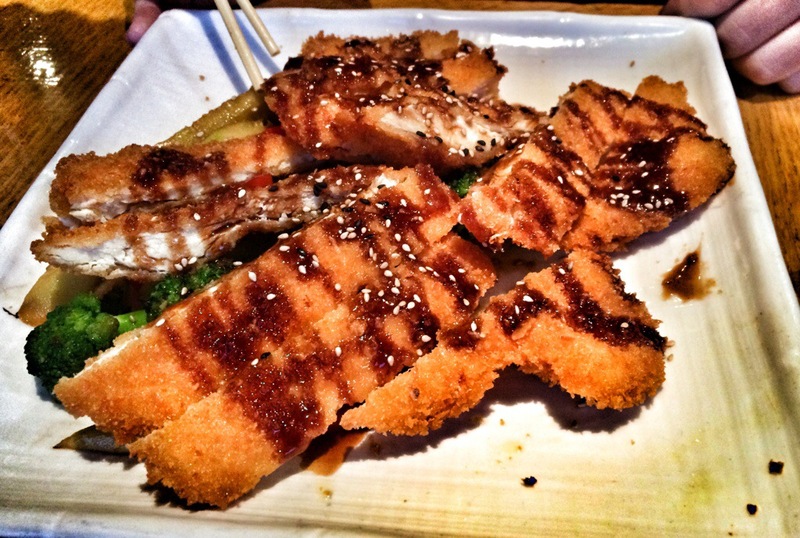 Shoyou has GREAT affordable, quality sushi. Because there is only one chef (Chef Bruce is the man) and about 5-6 tables, there maay be a wait, and there may be a delay on getting the food out in a speedy time. The quality of ingredients, toppings, and dressings is fresh and the combinations are complementary to each other. My personal favorite is the Oriole Park when I’m very hungry, it’s Ahhmazing. Heads up- I’m not sure if there are many, or any at all, non-sushi items on the menu, but you can order sushi with shrimp tempura if you’re not willing to try any raw items. Seriously, go if you aren’t in a rush (or with someone who gets antsy/agitated easily) and truly experience what quality delicious sushi tastes like. Awesome! Thank you so much for the suggestion, I heard the sushi is good there. I’ll make it a point to visit soon.